I recently read a wonderful story. I stumbled upon it at the following web address: http://www.upmoments.com/she-tells-her-grandma-that-shes-just-been-cheated-on/. You’re gonna like it. It’s sweet. It’s poignant. And it’s truthful…to a point. Well, stick around until the end, you’ll see what I mean. “A young woman went to her grandmother and told her about her life and how things were so hard for her – her husband had cheated on her and she was devastated. She did not know how she was going to make it and wanted to give up. She was tired of fighting and struggling. It seemed as soon as one problem was solved, a new one arose. 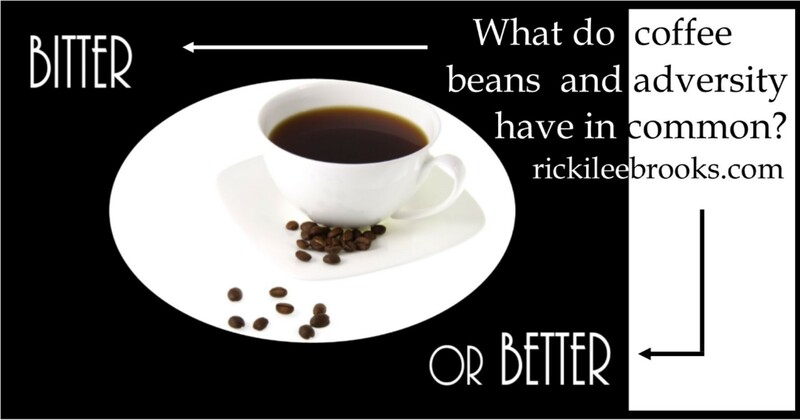 unless the beans are miraculously renewed over and over and over again. Then the bean–and the person–can keep giving over and over and over again. Then, in the face of adversity, we can make things better, not bitter. Whether coffee or life there must be something that’s new and fresh. With coffee the requirement is new beans. With us the requirement is new life. This is the miracle of regeneration. Its effects are spectacular.